When to go to Machu Picchu? If you have already decided but still do not know when is the best time to go to Machu Picchu, know that there are two seasons in Cusco: dry season and rainy season. While every day is a good time to visit the Inca City, each month has its peculiarities. How is the weather in Machu Picchu? What is the best time to visit Machu Picchu? 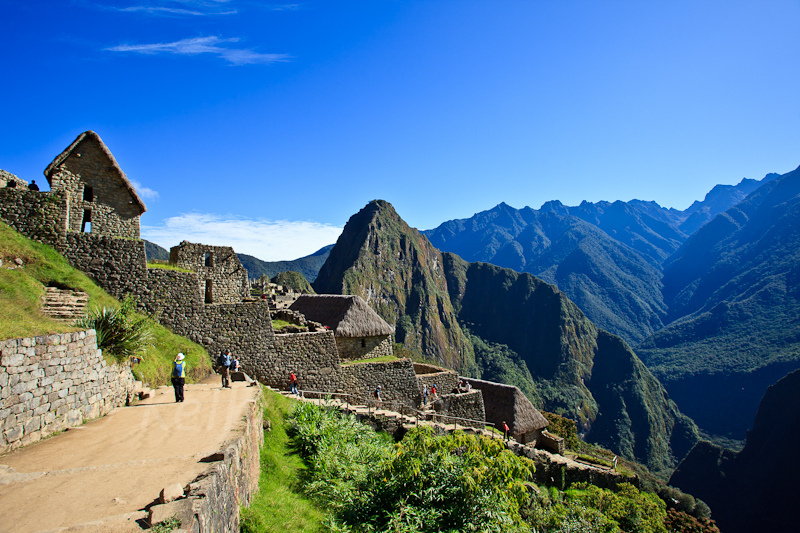 What is the best time to explore the mountains of Machu Picchu? How is the high season in Machu Picchu? How is the low season in Machu Picchu? Due to its location in the middle of the Amazon jungle brow and the Andes mountain range; Machu Picchu enjoys a very peculiar climate. In Machu Picchu there are 2 very marked weather stations: the dry season and the rainy season. The dry season occurs between April and October. According to many people, it is the best time to visit Machu Picchu. During those months the sun shines all day and there are almost no rains allowing the tourist to make a pleasant tour of the Inca City. In June and July temperatures during the day can reach 25ºC. In the early hours, the lowest temperatures can reach 0ºC. During the dry season there is also the ‘high season of tourism’ in which Machu Picchu supports the highest number of visitors in the year. The rainy season occurs between November and March. Unlike what many people think, it does not rain throughout the day. In most cases, the rains occur only in the afternoon. During those months the Inca City can dawn covered with haze. However, with the passing of the morning it will disappear. In February and March the rains are more frequent than in the rest of the year. The maximum temperatures can reach 22ºC. The minimum temperatures, 8ºC. During the rainy season there is also the ‘tourist low season’. In those months you can get lower prices in hotels, tours and other services. The best time to visit Machu Picchu is during the dry season. The days are sunny and radiant. May, June and July are the best months to tour the Inca City. In those days, the Inca City has a beautiful landscape. In addition, in those months Cusco celebrates its best festivities such as the famous festival of the Inti Raymi (June) or the Fiestas Patrias del Perú (July). In the Inca City, the visitor can make incredible hiking routes such as treks to the tops of the Machu Picchu mountain or the Huayna Picchu. May, June and July are the best months to do these walks. The chances of rain are few and, at the top, the views are spectacular. February, however, is not a good time to go hiking in Machu Picchu. This month has a greater amount of rain, which also restricts the entrance of visitors to the Inca Trail. In the rainy season, the trails of the mountain are narrow and vertigo. During those days, it can be scary for some visitors to feel that the roads are wet. The high season of tourism occurs between May and August. This season coincides with the dry season but also with the vacations in Europe and the United States. If you plan to come to Machu Picchu during the high season, know that you must book admission tickets in advance. The Machu Picchu Only ticket is purchased 2 weeks in advance. The entrance to the mountain Huayna Picchu needs to be acquired with up to 3 months in advance. In the high season, you will have to make long lines to get on the bus that will take you from Aguas Calientes to Machu Picchu. During those months the prices of most tourist services rise in price. Therefore, it is advisable to book them in advance online. The low season of tourism coincides with the rainy season of Machu Picchu. It runs from November to March and is characterized because in those months when fewer tourists visit the Inca City. Despite the rains, according to some tourists, the low season is the best time to visit Machu Picchu. Is that in those months the Inca City presents its most intense green. Also, during those days it is possible to be in Machu Picchu with the least amount of people possible. Thus, tourists can tour the archaeological site more peacefully. Finally, during the low season of tourism the prices are lower. It is possible to buy tours, hotels and other services at low cost. Each month in Machu Picchu is special. The climate varies in rainy season and dry season. In addition, the number of tourists increases or decreases. It is believed that the best months are May, June and July. January presents rain but not every day. It is possible to visit the Inca City with a radiant sun. There are not many tourists touring the archaeological site. It is recommended to bring poncho for rain as well as sunscreen. February is the rainiest month in Machu Picchu. The Inca Trail is closed for maintenance. Rains can happen at any time, especially in the afternoons. However, with luck, there may be sunny days. Despite the rains, the Huayna Picchu and Machu Picchu mountains are still open. In March the rains diminish although it can still happen in the afternoons. The Inca City shines its most intense green. In the mornings fog can rise and cover the landscape. However, with the passing of the day, it will disappear. The Inca Trail reopens its hiking trail then remain closed in February. April opening the so-called ‘dry season in Machu Picchu’. The rains decrease substantially. The sun is warm but the heat does not reach its highest temperatures. You can still enjoy the Wonder of the World tinged with an intense green. According to some experts, this intermediate month is a good opportunity to visit Machu Picchu. May is one of the best times to visit Machu Picchu. The sun illuminates the Inca City early on. Tourists from Europe and the United States begin to visit the archaeological site in large numbers. It is a good month to go on hikes such as Huayna Picchu, the Inca Trail or the Salkantay Trek. June is also a good time to visit Machu Picchu. The sun is intense during the day and rains rarely occur. The Inca City supports its highest number of visits per day. It is a good opportunity to climb the mountain Huayna Picchu. It is recommended to wear a hat, sunscreen and mosquito repellent. July is a good month to visit not only Machu Picchu but also the city of Cusco. At the end of that month the Inti Raymi (Sun Festival) is celebrated. The climate reaches its highest temperature. Sunscreen and mosquito protection should be worn. Admission tickets must be purchased online well in advance. August is a good opportunity to visit Machu Picchu with sun, little chance of rain and with a decrease in the number of tourists. August is considered an intermediate month because the weather is pleasant. Just do not forget to bring a rain poncho, hat, sunscreen and mosquito repellent. September is a good month to go to Machu Picchu as well as hiking trails such as the Inca Trail, the Salkantay Trek or climb the Huayna Picchu mountain. The weather is nice: not much sun or much cold. However, the rains can happen from one moment to the next, so you should bring a rain poncho. October is the last month of the dry season. The weather is still nice. The days are sunny and there is little chance of rain. The amount of tourists visiting the archaeological site decreases. It is also a good month to tour the Huayna Picchu, the Inca Trail or the Machu Picchu mountain. November marks the beginning of the so-called ‘rainy season in Machu Picchu’. As its name indicates, the rains become more frequent although they are still scarce. It is a good time to visit the Inca City with few people around since the number of daily visits decreases. Rain poncho should be worn as well as appropriate clothing for sunny days. In December the number of visits to Machu Picchu increases due to the Christmas and New Year holidays. The weather is warm. Rains occur more frequently, especially in the afternoons. Mornings are usually sunny. You must bring a rain poncho. 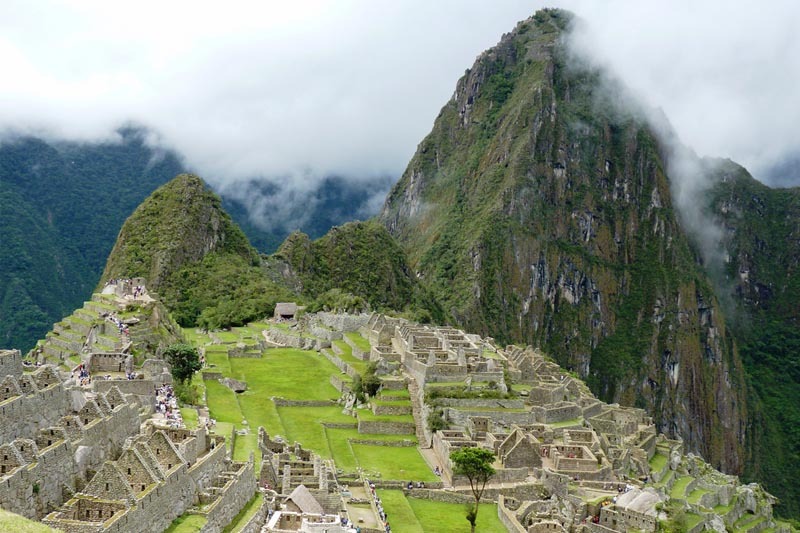 ← Trip to Machu Picchu last minute: How to buy ticket?